He's making a tech-savvy Ohio Broadband plan central to his unexpectedly potent bid for governor of Ohio. Plenty of 2018 candidates are proposing to expand access to high-speed broadband—especially for rural communities and inner-city neighborhoods that are on the wrong side of the digital divide. Politicians have been promising to put Americans on an ”information superhighway” since Bill Clinton and Al Gore were engaging in first-stage digital utopianism. The problem is that most candidates do not begin to understand how to make real the Internet-for-All promise in an age of telecommunications monopolies and FCC assaults on net neutrality—the “First Amendment of the Internet” that is supposed to guarantee fair and equal treatment for all content on the Internet. Dennis Kucinich is different. This spring, he is making a tech-savvy “Ohio Broadband” plan central to an unexpectedly potent bid for governor of Ohio. The former congressman from Cleveland is battling former Ohio attorney general Richard Cordray for the Democratic gubernatorial nomination. Kucinich, who mounted insurgent bids for the 2004 and 2008 Democratic presidential nominations, still takes plenty of hits from Democratic Party insiders—who are currently criticizing him for his stint as a commentator on Fox News and for giving a speech to a group with ties to the Syrian government. 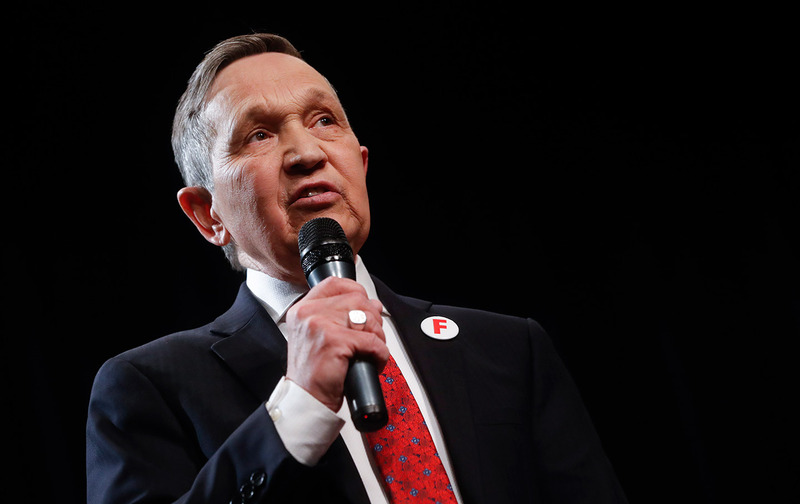 But in this year’s gubernatorial race he has been winning a good deal of favorable coverage (an April 9 Washington Post feature was headlined: “The Vindication of Dennis Kucinich. When he ran for president, he was ridiculed and dismissed. It turns out he was the future of American politics”) and unexpected endorsements (last weekend the Cleveland Plain-Dealer identified the former mayor as “the candidate most likely to challenge statehouse inertia”). While municipal broadband networks have been developed in cities across the country, statewide initiatives represent something of a new front in the fight for a free and open Internet. This is a fight that must be waged, especially at a moment when net-neutrality protections have been scrapped by Donald Trump’s FCC. And it should come as no surprise that this particular contender is prepared to wage it. Kucinich, who came to national prominence four decades ago as the youthful mayor of Cleveland who battled corporate interests and bankers to prevent the sell off of a publicly owned electric company, recognizes the role and value of public utilities. He also knows his way around Internet issues, as a longtime advocate for net neutrality with a record of savvy engagement on media issues.